In an abusive relationship? 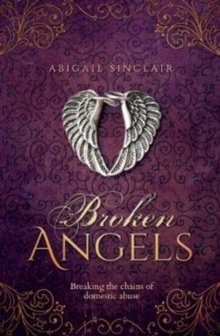 Looking for a way out?Broken Angels is a heartfelt and raw journal written by Abigail Sinclair in the hope that it will inspire others to remove themselves from relationships that are clouded by domestic abuse. Abigail had the privilege of residing in a women's refuge with her daughter and hopes this account will challenge and remove the many stigmas attached to life in a refuge, which formed the major part of her incredible healing journey. She hopes her story will give a glimpse of refuge life and to spread the word that there really is a place where people can escape. A place that is safe and clean, offering incredible support, guidance and boundaries. A place where women and their children can rest a while a begin to fix their broken lives and dreams, until it's time to move on.